Once Almaty was the capital of Kazazkhstan, back then in the composition of the Sovient Union. Taking into account the size of the city and its importance as an industrial and administrative center, the Government decided to build the underground. Almaty was the second city in Central Asia, after Tashkent, to introduce metro in its transport system. The first project was approved in 1978. 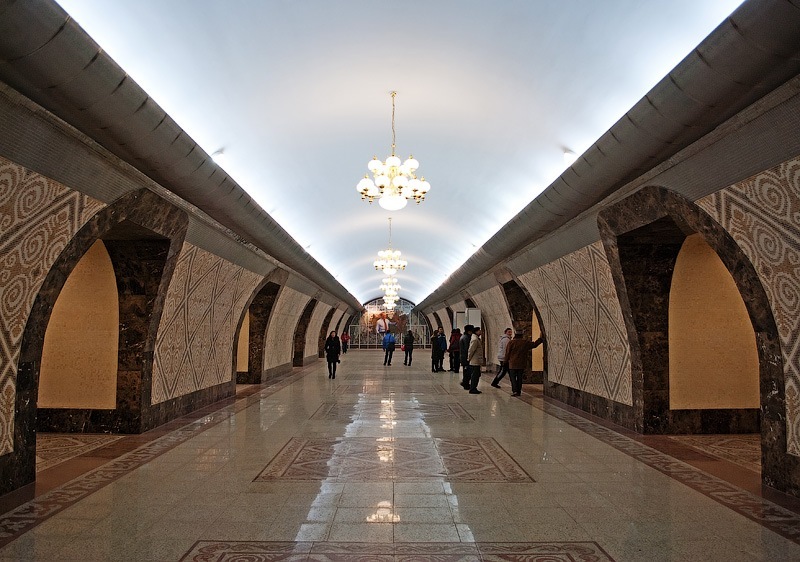 It tool over 30 years to complete the construction, and now the Almaty metropoliten boasts newest technologies and lavishly decorated stations. 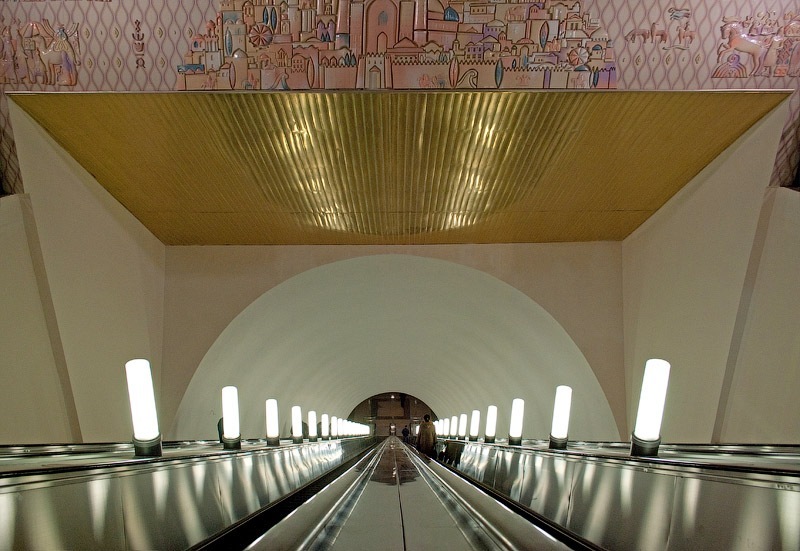 While preparing a tour of Almaty, be sure to ask your tour guide to take a ride in metro. You will taste a flavour of real life of citizens and may be distracted from the buzz of the "upper world". 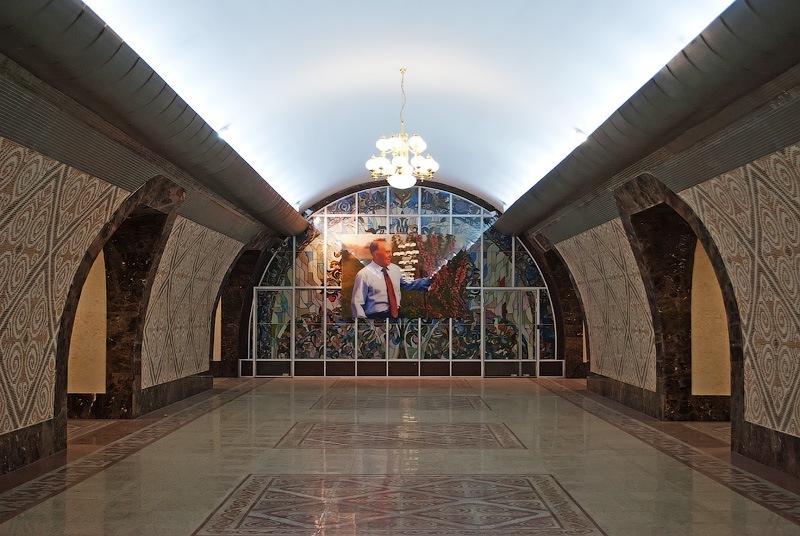 The metro is decorated, inter alia, with pictures and symbols of independent Kazakhstan, including its first President, Nursultan Nazarbayev, who contributed a lot of effort and personal attention to the construction.